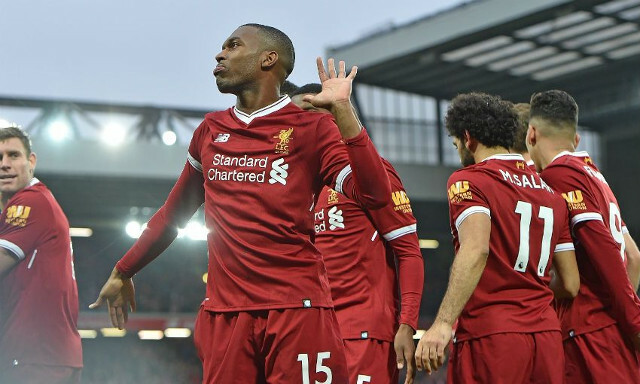 Daniel Sturridge is looking to double his tally after reaching 100 career club goals in Saturday’s win over Huddersfield. The striker was handed a start by Jurgen Klopp as the Reds boss looked to inject goals following last weekend’s humiliating 4-1 defeat to Tottenham. With Philippe Coutinho out injured, there was added pressure on Sturridge to spearhead Liverpool’s attack and secure a much-needed win. He did exactly that by taking advantage of a poor defensive clearance to open the scoring with a clinical finish and set the home side on their way to a 3-0 win. “Hopefully there will be a lot more to come – there could’ve been a lot more but you can never look at the past, you look to the future and say hopefully I’ll be able to score another 100 before my career is over,” Sturridge told Liverpoolfc.com. With the talent Sturridge has to offer and his proven goal-scoring prowess, the forward should have been beyond 100 goals by now. It hasn’t been for a want of trying, with frustrating injury setbacks having been a cruel hindrance since his superb 2013/2014 season. Saturday proved to be yet another reminder of what he can still offer, especially during a tough period for the club. If he is granted the opportunities in front of goal, he’ll more often than not bury them- which is something Liverpool have missed dearly at times this season. On the back of his role this weekend, it will be difficult for Klopp to drop him come Wednesday’s Champions League clash with NK Maribor.